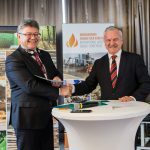 Agreement on the Increased Use of Bioenergy Signed in Zagreb! 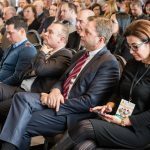 The high-priority topic of wood biomass and renewable energy sources was discussed at the 8th International Energy Conference held on February 27th in Zagreb, organized by the Croatian Wood Cluster and CROBIOM – Croatian Biomass Association. The conference was attended by WBA President, RemigijusLapinskas and Eric Vial from the European Pallet Council. They supported the biomass and pellet production sector in Croatia, where 280,000 tons of pellets are produced annually. It is expected that capacity will reach 400,000 tons in the coming years. 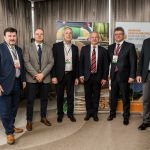 On this occasion, the CROBIOM and the World Bioenergy Association signed and published the Bioenergy Agreement as a guideline for the development of bioenergy in Croatia towards 2030. Croatia can contribute to European energy independence and global aim to fight climate change. However, it is necessary to improve the energy policy in a sustainable one that will encourage the development of new fuels and successful replacement of imported fossil fuels. 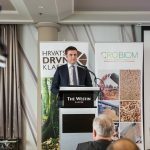 CROBIOM President, Raoul Cvecic Bole, pointed out that it is necessary to increase local biomass utilization in accordance with the EU principles. More than 230 leading bioenergy experts of forestry, agriculture, the heating, transport and power sector, as well as science and technology providers from Croatia, the southeast Europeand 9 other EU-member states, met in Zagreb to discuss the future of bioenergy. Thematic emphasis was put on the implementation of the REDII directive and the market position of biomass and wood fuels, as well as the new technologies, CHP plants’ quotas, trends in pellet and biomass exports and the greater use of EU funds. 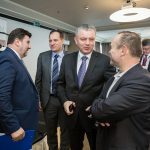 The conference was held under the auspices of the Croatian Parliament and five ministries and was opened by the minister of environment and energy Mr Tomislav Coric. 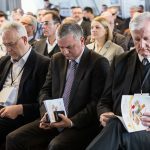 It is interesting that three former ministers also attended this event, currently in the status of MPs in the Croatian Parliament. 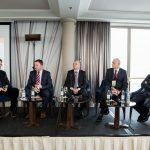 Croatian MEPs, Jozo Rados and Davor Škrlec gave keynote presentations and encouraged the sector saying that biomass is still an excellent energy source. They also stressed that it is necessary to accelerate the energy transition towards the RES and the low-carbon economy.